HomeCandy & Snacks Skittles Tropical Flavor 36 Ct. Individually packaged bags you’ll enjoy Banana, Berry, Passionfruit Pineapple, Kiwi, Lime, Mango Tangerine, and Strawberry Starburst. These Skittles Tropical candies are just like the original ones, only completely different flavors. Just when you think that red bag of fruity candies can’t get any better a blue bag comes along and changes everything. They’re perfect for lunch boxes, gift bags, and trick-or-treaters at Halloween. You can also open the bags and pour them in a candy dish for a colorful display as a centerpiece at a wedding or baby shower. Skittles Tropical treats are bursting with refreshing flavors your taste buds are sure to love. 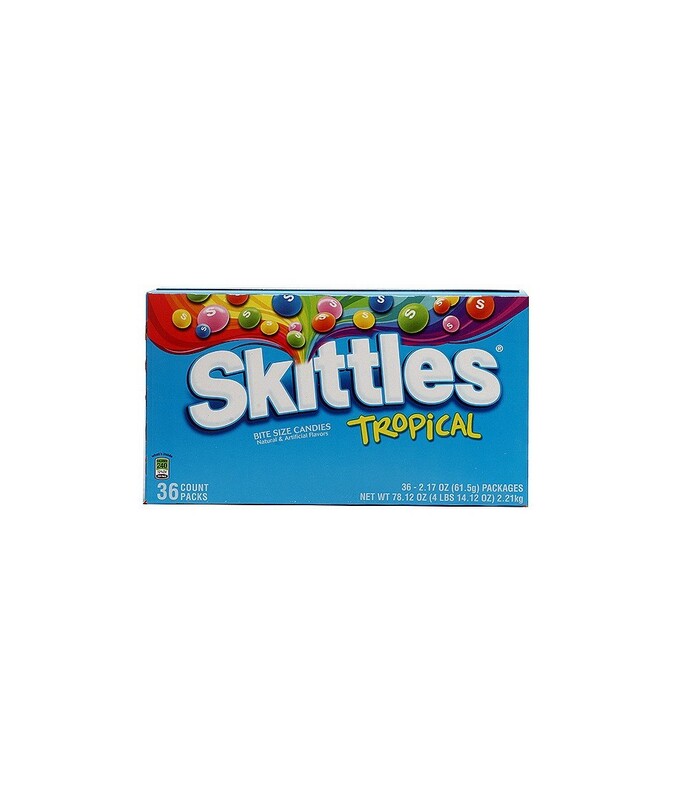 you can buy Skittles Tropical candies in bulk at a wholesale price at Volt Candy Online. 1 review for Skittles Tropical Flavor 36 Ct.
great candy with a perfect blend of fruity flavor.